You are here: Home / Restorative Dentistry / Orthodontic Retention: How Long is Long Enough? Orthodontic Retention: How Long is Long Enough? One of the most common questions I get from patients after ortho whether at the end of their Invisalign trays or years after when they still have a lingual wire is “How long do I need to wear my retainers”. The question always makes me uncomfortable for two reasons, you don’t have to practice dentistry very long to see evidence of relapse after ortho and I am not really sure what the “right” answer is. Recently I decided it was time to know the answer so I asked Dr. Cheryl DeWood to help me understand more about retention. I am very fortunate to have the opportunity to practice with Cheryl as she is a dear friend, board certified orthodontist, orthodontic faculty at Midwestern Dental School. Over the next week or so I will share her answer in a series of posts. What is the responsibility of the orthodontist with regard to retention? When does the orthodontist’s responsibility for retention end? 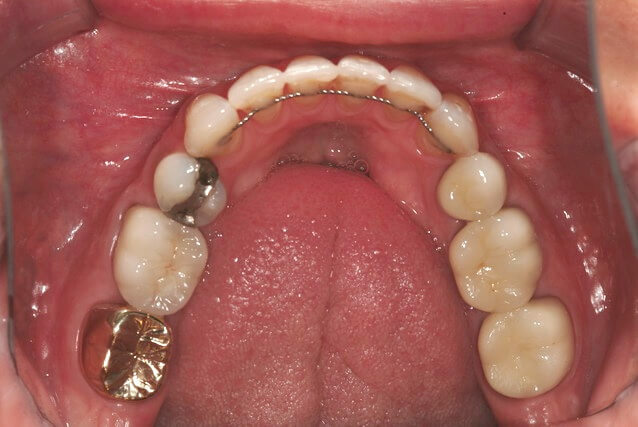 What do I do with a patient whose orthodontist will not or cannot see him/her for retention? Should I consider being responsible for managing a patient’s retention to myself? If I want to be actively involved, what do I need to know about retainers? As you correctly note, it’s a fairly common situation for patients to present with retainers and questions, so it’s a good idea to have a strategy to deal with retainer issues. Here are my answers to the questions posed above. 1. What is the responsibility of the orthodontist with regard to retention? Of course, every orthodontist should have a protocol for how he or she will manage retention. I encourage general dentists to discuss with the orthodontists to whom they refer what that protocol is. For example, how much is management of retention is included in the treatment fee? What about after that? Most orthodontists have a clearly defined endpoint to treatment, including how long retention will be monitored. I include 2 years of retainer checks in my treatment fee. I think it is important to make sure my patients are aware that the treatment fee includes supervising retention for a defined period of time after active treatment, and that monitoring retention after that specified period is at an additional fee. If long-term retention is recommended, as it usually is, patients need to be aware of what maintenance care will involve, both in terms of time and money. Unfortunately, it is all too common that the importance of retention is not stressed at the outset of treatment. Further, most orthodontists generally do not want to have a long-term relationship with their patients. My observation is that it is rare to find an orthodontist who actively encourages patients to return for observation of retention long after treatment ends, and in fairness, patients generally prefer it that way, too. How I manage retention is one of the specific points that I discuss with my referring colleagues and my patients prior to beginning treatment. After all, I have a significant interest in making sure treatment results are maintained; they are a walking representation of my work. However, even when both the patient and the orthodontist are willing, it is not always possible to send a patient back to the orthodontist who treated him/her. Patients move. Orthodontists move or retire. Some orthodontists discourage patients from returning, and some patients won’t go back even if they can. Which brings us to the next question. Thank you *so* much for bringing attention to this issue! It is (sadly) such a common topic (you probably know about the forum “Didn’t Wear My Retainer – What Now? at http://www.topix.net/forum/health/orthodontics/T4LIC86MO60GJCSIE). I’m going to provide a link to your discussion on my blog and FB pages – I’m sure we can all learn; the more patients know about it up-front, the better. Good for you and Dr. DeWood! Orthodontic retention is for life. Most orthodontists provide retention checks at no charge for one year post debond. One year is the time needed for maximun bone strength after remodeling. 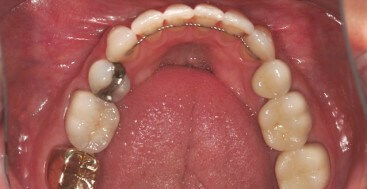 After that time, the patient can put their retainer in once or twice a week to insure maintenance. Orthodontists are happy to see their patients for life. There is usually an office visit charge for retainer checks post contract completion. Diplomates of the American Board of Orthodontics routinely see patients 10 years, 20 years, even 30 years post treatment. Nothing gives an orthodontist greater professional joy then seeing their patients 10 years out of braces looking great! Thank you for your interest in orthodontics and for your support of the orthodontic profession.